The Christmas countdown has begun! With Thanksgiving falling late this year and travelling over the holiday weekend, I feel less prepared than previous years and am still decorating and sorting through boxes to deck the halls. 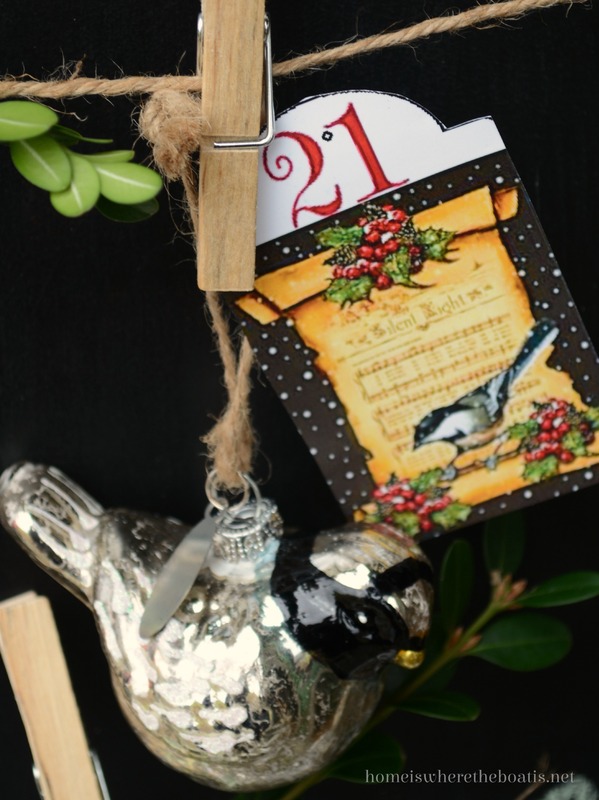 I was gifted with an adorable Birds of a Feather Advent Calendar to help me wing my way through December, counting the down the days and for a little nesting fun in my Potting Shed! My friend Jain of a quiet life, Novel Baker and shopping twin :) created and printed an advent calendar for me, after I oohed and aahed over her Seaside Advent Calender she made last year. She made two last year, one for herself she strung on rope in her beach bungalow, and one for a friend designed to hang on a tree. Prepare to be wowed like me when you sea them! She’s enjoying some garden advent fun with a calendar she designed to count down the days this December. 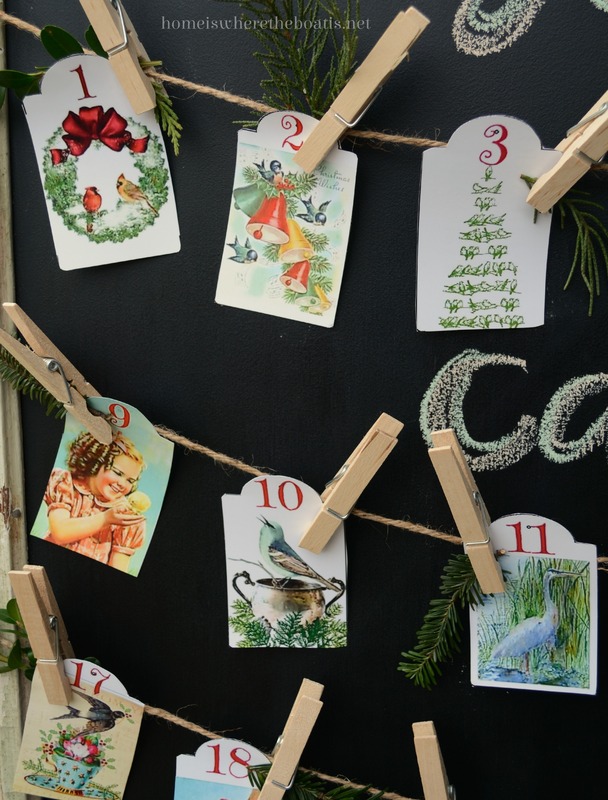 I decided to string my advent calendar on twine, attaching them with clothespins on my Potting Shed chalkboard door. 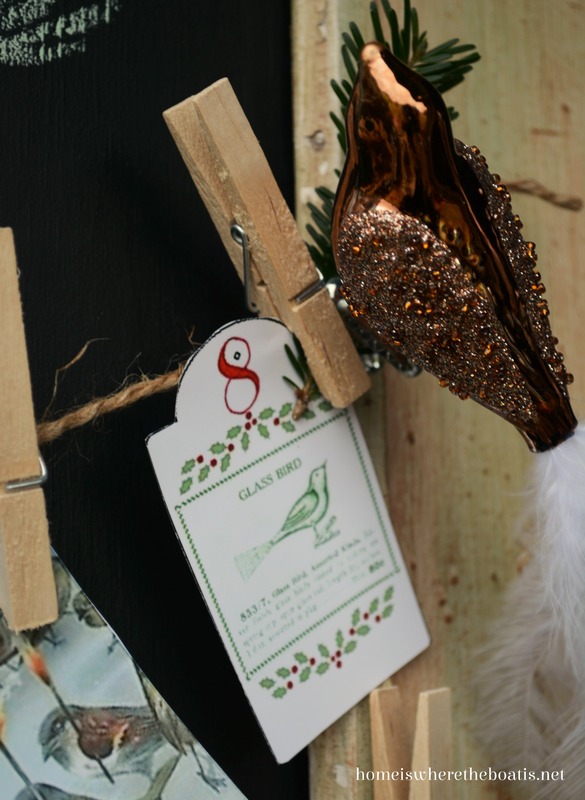 My bird Christmas ornaments flew in to join the fun. . . 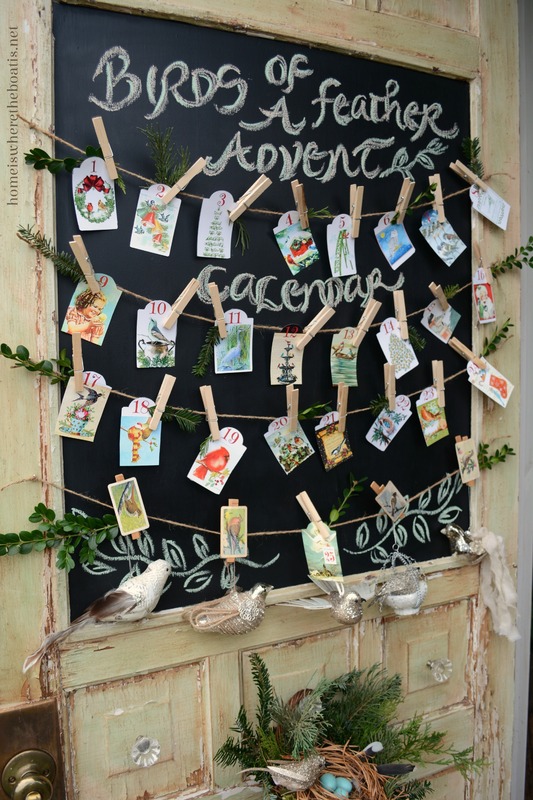 The back of each card has an activity for celebrating the Christmas season that I can enjoy in my Potting Shed. Like dressing up my ladder. 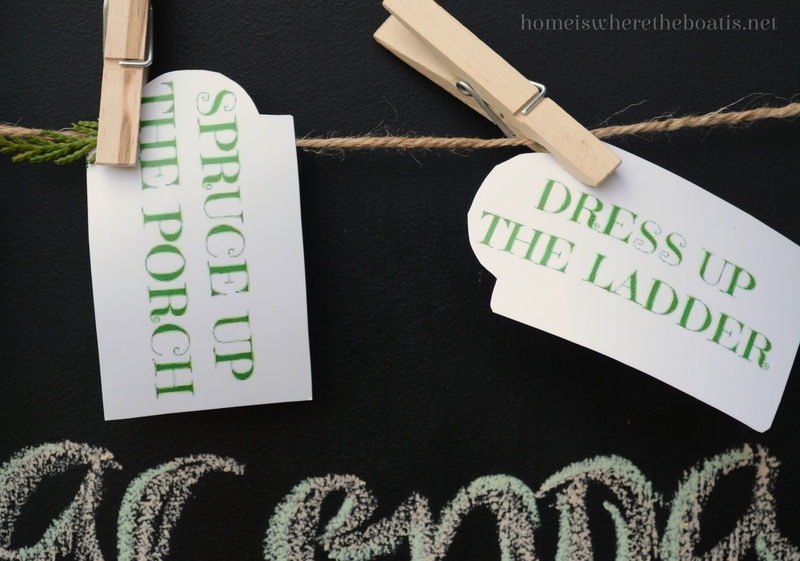 . .
And sprucing up the porch! 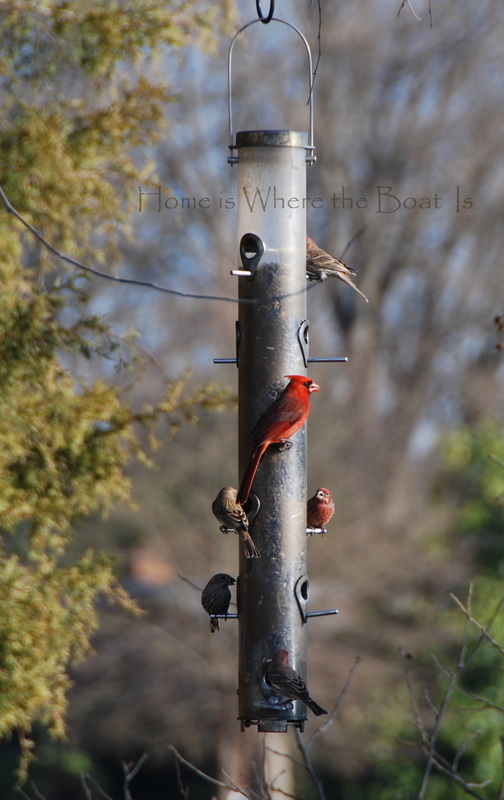 And enjoying a little bird watching. 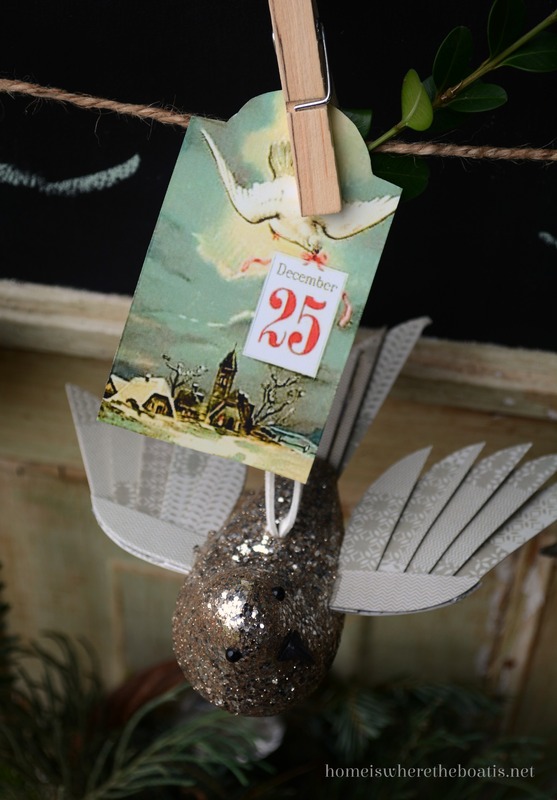 Thank you Jain for my Birds of a Feather Advent fun! 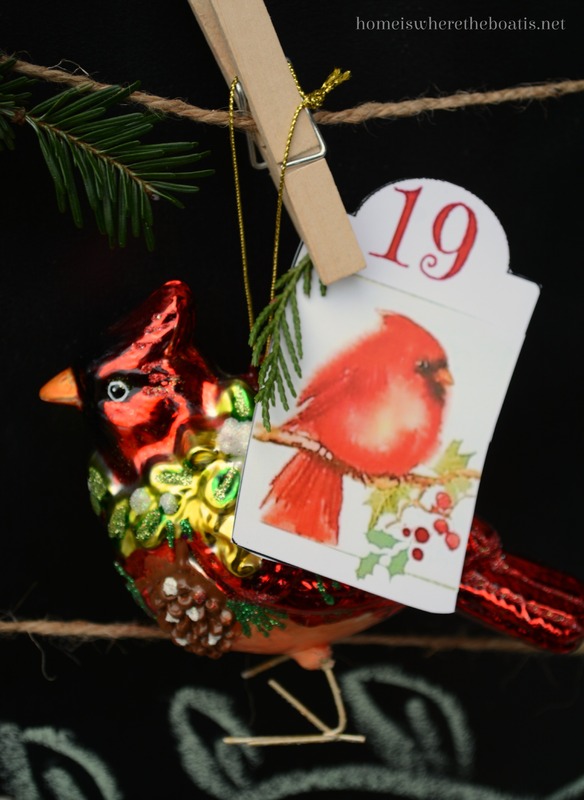 Are you just starting or are you finished feathering your Christmas nest and ready to enjoy the count down? 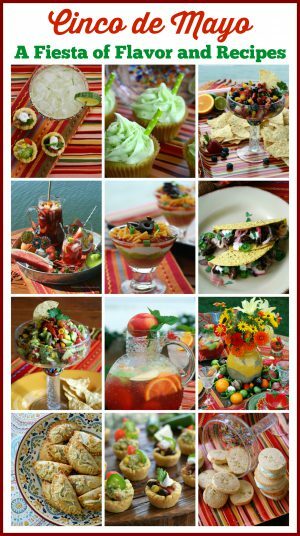 Love it all as usual- your skills continue to amaze and inspire me. THANK YOU!!! It’s snowing! Love everything you do but birds are my favorite. Love the advent calendar. What a tweet Advent Calendar that was made especially for you, Mary! 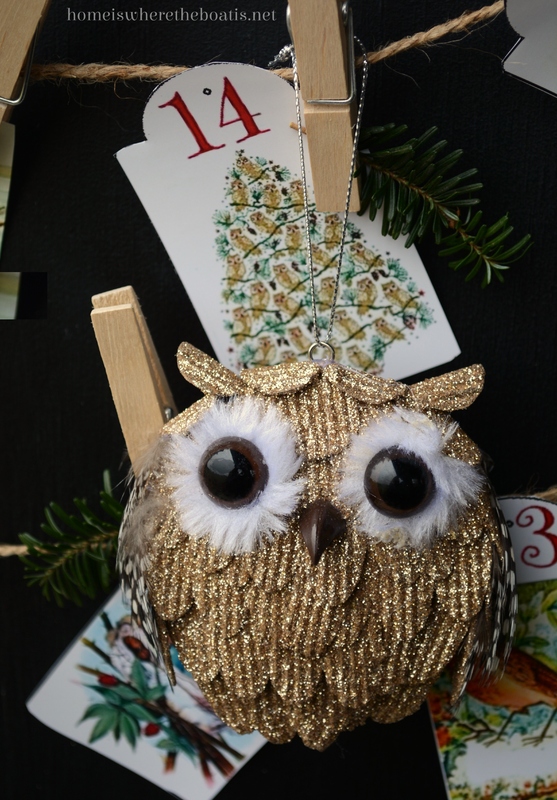 I love how,you’ve strung in with the clothes pins and adorned it with the birdie ornaments. Yes, Christmas is coming too soon and I’m decorated, but not ready with presents! Is there a link to that Advent calendar to print? Is it available for free or purchase. I want one SO MUCH.! So charming, so thoughtful, so special. That Advent Calendar gift…priceless. Thank you for sharing with us Mary. 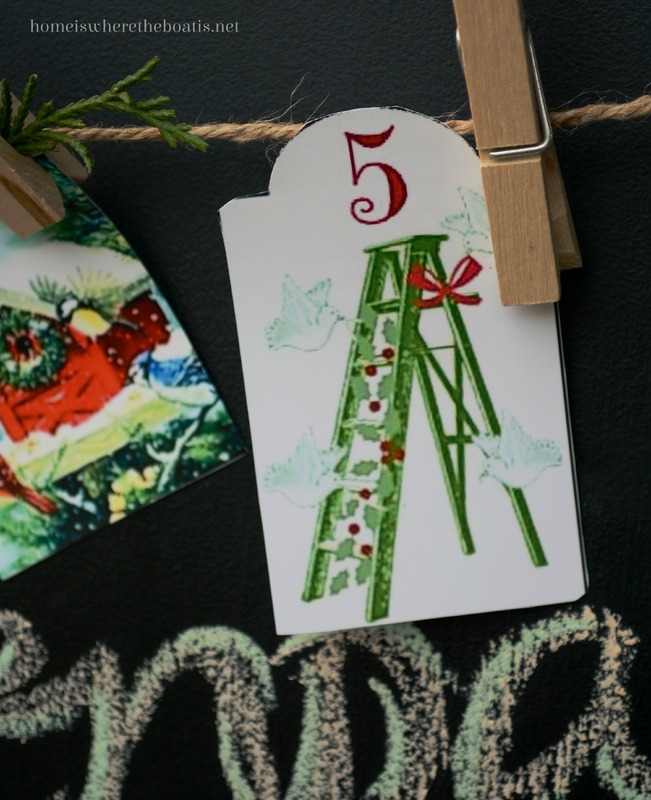 I’m way far behind on everything, but your post helped get things in perspective… remembering to enjoy this charming season of preparing… Advent! 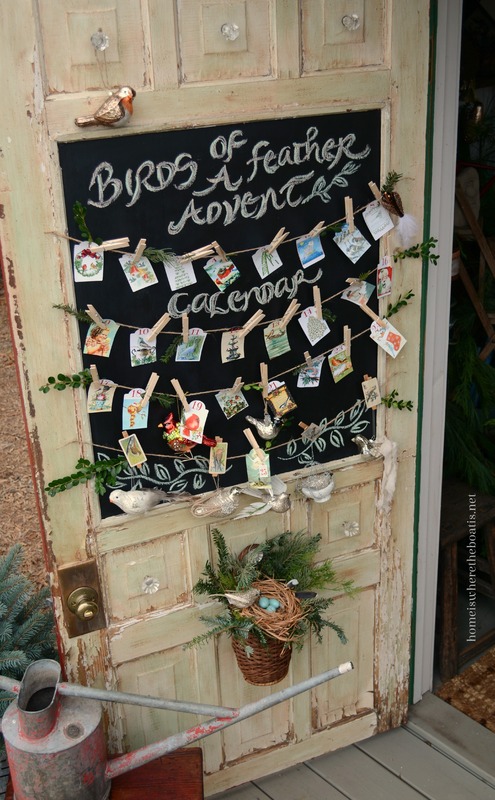 Lucky you Mary, Jain’s Birds of a Feather Advent Calendar couldn’t be any cuter or more perfect for you and your potting shed! I remember her sea themed one last year, the illustrations were equally gorgeous~ what a wonderful treat to look forward to everyday, you will have so much fun with this! 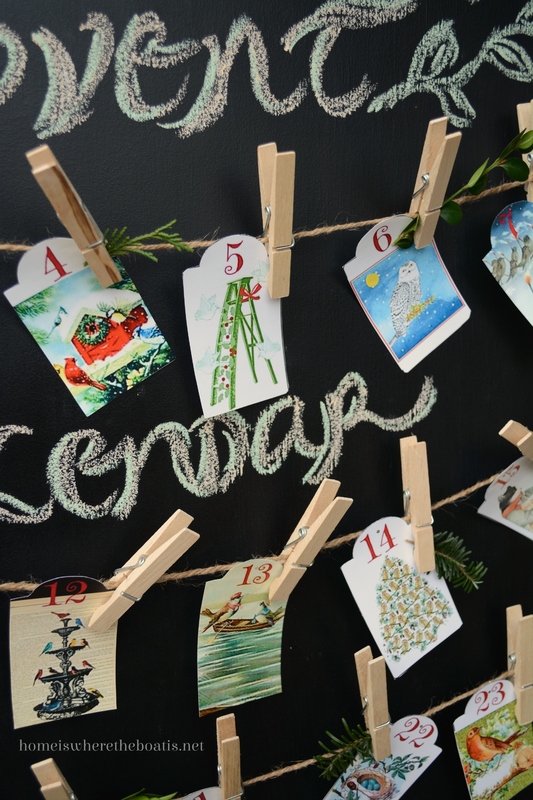 It’s perfect strung along your chalkboard door! I am late late too, we headed to the coast on Friday after a big family turkey day Thurs, and stayed until Monday, so I am behind I guess…I like to take it slow though and do a little everyday, that’s what’s fun to me…sort of like your Advent calendar, a special task per day :) Enjoy Enjoy! What a wonderful post! Just starts my day on the right track with charm and beauty. Thank you. Oh, my, gosh, is this ever cute. It is perfect for you. I clicked on over to see her seashore advent as well. What a creative lady! How sweet of Jain to gift you with the advent calander! 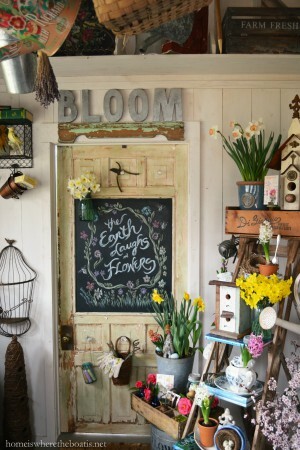 It is adorable and PERFECT for the potting shed! Love it! 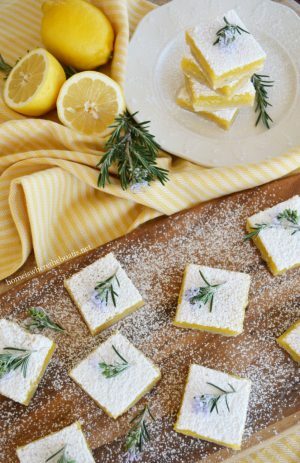 Such a cute and clever idea and just perfect for you! Love it! 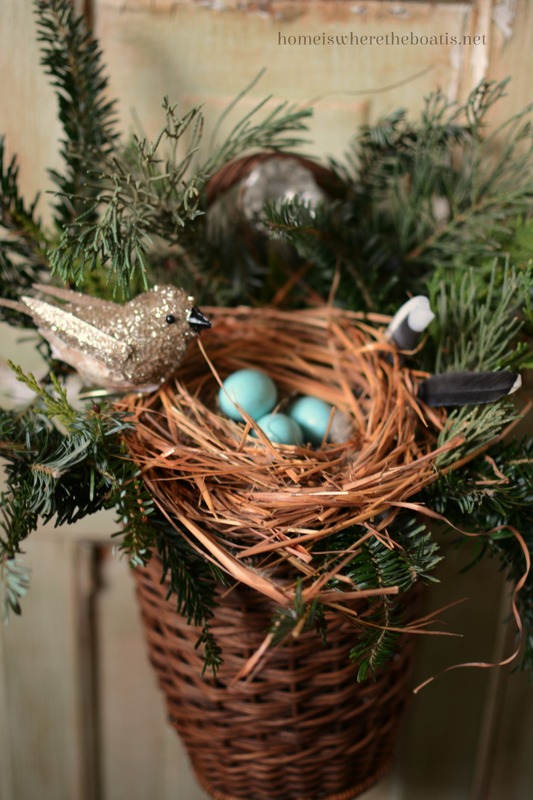 My nest is as feathered as it’s going to be, meaning decorating is an absolute minimum so I don’t have to put things away after the holidays! The advent calendar is adorable. How perfect, and what a thoughtful gift. I love it! Great graphics on the cards, too. I’m nowhere near being finished with decorating and have barely begun shopping. The pressure is definitely on! Have a wonderful week! Mary, I just want to live in your potting shed! It is the most magical place ever. 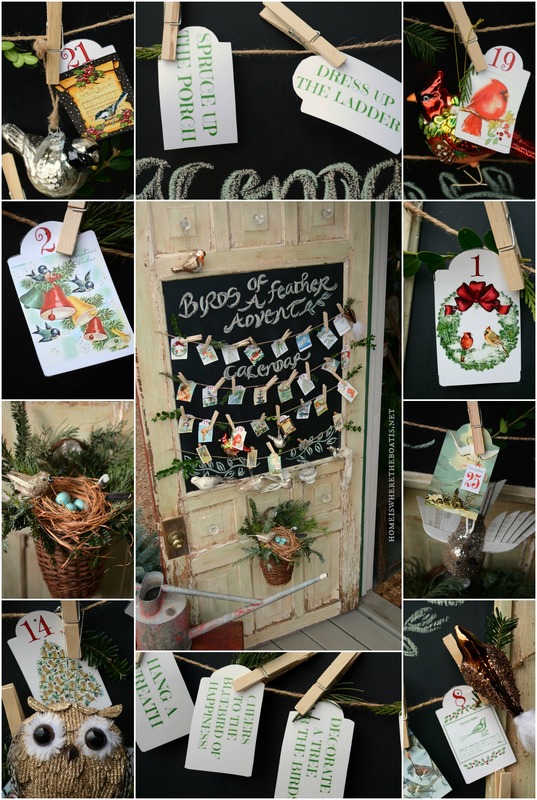 What a beautiful way to present the advent calendar. Jain is so talented! How lovely that she sent you these. I love seeing whatever magic you create! 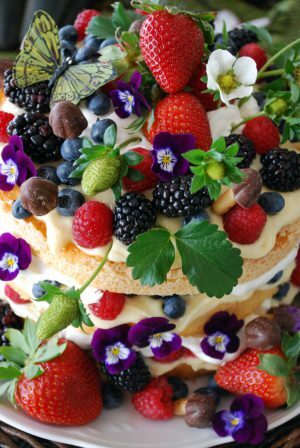 Perfection for you, Mary! Jain is incredibly talented, but then so are YOU! I have endless delight in following along to see what you two do. The Advent Calendars are each one so special. I told Jain last year that she should market this idea because I’m sure someone is going to grab the idea and do just that. 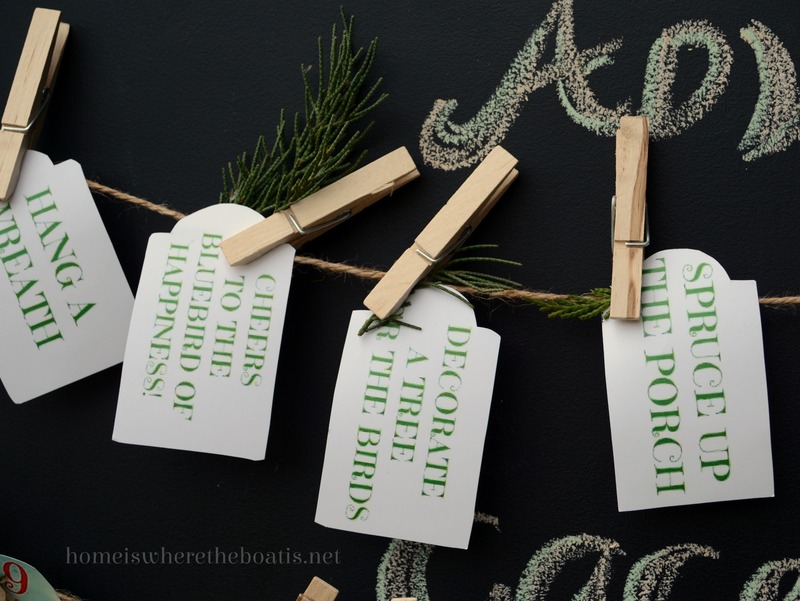 Seaside, garden, and now birds ~ each theme is so clever and charming. Have fun with your Advent gift. 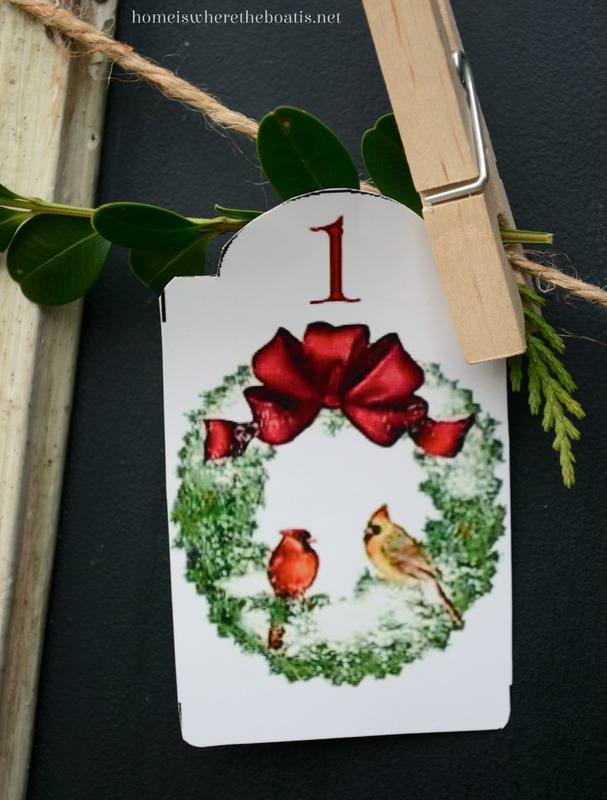 It looks adorable on your door. Mary that is just adorable! Thank you for joining Home Sweet Home!